Welcome back to Diversity Middle School for the 2015-2016 school year. As most of you already know, my name is Heather Kilgore and I am the new Assistant Principal. I am like many of you in this room. I am a white female who speaks only English. I was born, raised, and educated in Texas. I am heterosexual and a Christian. I am a member of most majority groups in the United States. On the other hand, in this school, we serve a very diverse population of students. We have at least one student from the following minority groups: African Americans, Mexican Americans, Asians, Indian/American Eskimo, Latino and Haitian. Our students speak over 10 languages. 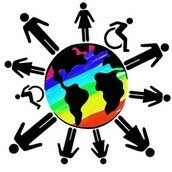 We have a growing Lesbian, Gay, Bisexual, Transvestite & Queer (LGBTQ) community. This school year, we have to ensure that we are armored with the strategies needed to provide a culturally responsive school. We have to know our students and how to respond to their various needs. Today you will learn instructional strategies, classroom management strategies, strategies for working with culturally diverse students, and how to involve parents in a culturally responsive manner. I want to start out the day with listening to this abbreviated clip of Dr. Marylin Sanders Mobley at TEDxCLE 2013 where she speaks about the Paradox of Diversity. More specifically, she recounts a short story by Toni Morrison. Please pay special attention to this story. We have a lot of work to do to reach our student population, and I know that this is the group of educators with the heart to do it. Please feel free to take notes or Tweet out your learning. Please use the #DMSdiversity hashtag to connect this day on social media. Now please sit back and think. After a brief 15 minute break, we will begin our breakout sessions. Please refer to the agenda and schedule of sessions below to guide your learning. As you process the information that you receive today, please take a few minutes to ask any questions that may arise in this Today's Meet backchannel. Your questions or concerns stated on this discussion thread can be read by anyone here today. Please keep the conversations scholarly and respectful in tone. Goal: Use differentiated instruction to address cultural differences. Objectives: Understand that differentiated instruction is an approach to teaching and learning for students with different abilities in the same classroom. Learn that through differentiated instruction, students will get to the same place, but take different paths. Realize that there is no “how to” recipe for differentiation because teachers who value the individual can translate it into classroom practices in many ways. Goal: Provide culturally responsive classroom management. Objectives: Learn how classroom management becomes an important tool in the arsenal of reducing and preventing disproportionality. Recognize that the goal of classroom management is not to achieve compliance or control but to provide all students with equitable opportunities for learning. Reflect on the ways that classroom management practices promote or obstruct equal access to learning. Goal: Teachers who utilize strategies for culturally diverse students. Objective: Learn that culturally responsive practices are specific educational practices, instructional strategies, team processes, and curricula content which have been established by research to increase the achievement of culturally diverse students. Understand the impact of culture on learning. Recognize strategies that could strengthen relationships with your students and incorporate that knowledge into instruction. Goal: Have meaningful parent involvement on the campus. Objective: Explore culturally biased beliefs many educators frequently have toward their students and their students’ families. Recognize that definitions of family are evolving and complex and that parents want and need to be involved in their children’s schools. I hope that today was as eye-opening to you as it was to me. I appreciate your openness and willingness to discuss some difficult topics today. Your candor enabled us to break down some walls within our own minds and grow as a group. Please take a few minutes to look at the diversity wheel image posted above. What do you see? Based on what you learned today, what threads do you plan to replace in the fabric of your instruction? How will you respond differently to our educational community? Please share your reflections in the following Google+ Community and respond to at least 2 of your peers. When you have completed these posts, you are free to leave.